DBA Network is proud to present its latest offering: The DBA Network SMSF Podcast. The SMSF podcast will be presented by Australia’s leading SMSF lawyers, DBA Lawyers. Each podcast will delve into an issue important to advisers in an informal and engaging way. The podcast is a valuable tool to keep abreast of changes in the SMSF industry and revisit important legal issues. While the SMSF Podcast is aimed at SMSF advisers, professionals in other areas and SMSF trustees will also benefit from hearing from Australia’s leading SMSF lawyers. 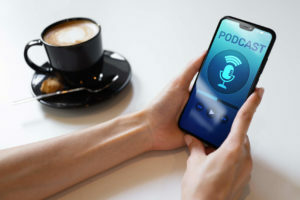 The SMSF Podcast will complement your professional development and ensure you keep your finger on the pulse of the SMSF industry. Now you can keep up to date on SMSF developments on the way to work, at the gym or anywhere else, when it suits you! The DBA Network SMSF Podcast can be accessed via the Podbean website (https://dbanetwork.podbean.com/#) or by downloading the Podbean app (search for DBA Network). Are you interested in a specific case or topic? Are you confused about some legislative changes and what they mean for you? Let us know and it might just be the topic of our next podcast! You can email your questions and queries to DBA Network at [email protected]. Note: DBA Network hold SMSF CPD training at venues all around Australia. For more details or to register, visit www.dbanetwork.com.au or call 03 9092 9400.